Examining Particles and How our health is affected by these particles? Our respiratory system consists of the nose throat and lungs. Most allergic reactions are caused by particles > 10μm. These large-size particles irritate mucous membranes in the cranial cavity. The pulmonary system’s natural defense mechanism usually clears them from the lungs. The epiglottis is a flap of tissue covering the trachea, it opens to allow breathing and closes to block organisms and matter in the mouth and throat from entering the respiratory tract. Smaller particles (<2.5μm) can move deep into the lungs and if not cleared naturally, the lungs can be scarred or the particles remain trapped, creating conditions for diseases like cancer. Most large particles can be cleaned effectively by vacuuming. However, there are some particles which aren’t effectively managed through vacuuming alone. The following table represents some of the particles which must be flushed out with a wet extraction cleaning system or shampoo system not a vacuum cleaner.These particles can build up over time in certain fabrics and carpets. Quaternaries are recommended for most hard surface disinfectant applications. Quaternaries are usually formulated with nonionic detergents since they are incompatible with anionic detergents. They have the unique quality of working best as disinfectants in the 9 to 10 ph range. The greater detergency efficacy also occurs in this pH range: the resultant product, therefore, is a detergent/disinfectant which combines the best of both. Misuse and abuse of the alkaline ph detergent disinfectants with resultant damage to some floor waxes/finishes has led to the development of detergent/disinfectant formulations with a neutral or near neutral pH (industry neutral ph=6-9; bleach ph=12). Many of these pH products with not damage floor finishes if misused and abused. Quaternaries, when diluted for use, are low in toxicity and irritation properties and are good broad spectrum disinfectants, capable of killing a wide variety of gram negative and gram positive bacteria, fungi and viruses. They do not contribute to objectionable odor problems. In fact, they have odor counteracting properties of their own. If properly formulated, the nonionic detergents can be synergistic with the quaternary disinfectants in terms of bactericidal effect. Phenolic disinfectants, due to their chemical nature and mode of activity, function best at a pH range of 7 to 7. Phenolics are used to clean blood spills as part of the OSHA Bloodborne Pathogen Standard. Since phenolics are not compatible with nonionic or cationic detergents, they must be formulated with anionic surfactants or soap. Since hard surface cleaners are typically made with nonionics, phenolics tend to have less cleaning ability than quats. The most common Chlorine disinfectant is household bleach. 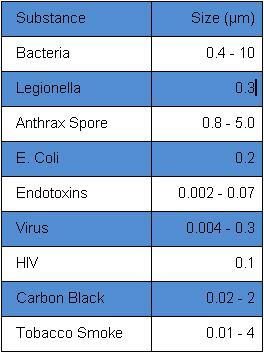 Chlorine eliminates most viruses, bacteria, molds, and algae, but not bacterial spores. Chlorine compounds are good disinfectants on clean surfaces. Chlorine compounds are more active in warm water.Chlorinated compounds can irritate skin and damage clothing, rubber goods, and some metals. Chlorine-based disinfectants are generally compatible with soaps but should never be mixed with acids. Most chlorine solutions are unstable and lose activity over time.